This week on “The Voice”, the Top 5 artists took trips back home and performed their second songs as dedication songs to their home towns. Their first performance songs were chosen by their coaches. 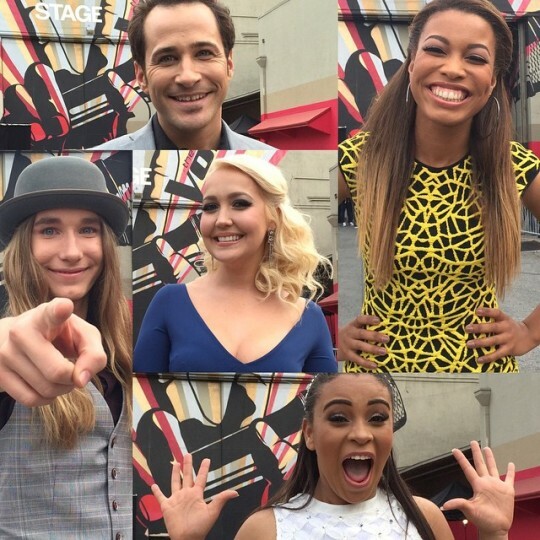 The Top 5 consists of India Carney from Team Christina; Meghan Linsey from Team Blake; Joshua Davis on Team Adam; and Pharrell Williams with two of the youngest artists left – Sawyer Fredericks and Koryn Hawthorne. 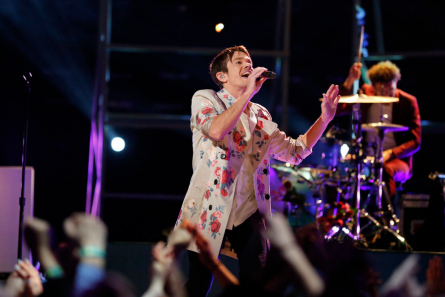 This season’s Key Adviser Nate Ruess opened the show singing “Nothing Without Love”. Coaches Comments: Blake said it sounded like the first couple of times he heard Josh and likes “the softer side” of his voice. Christina thought it reminded her of a lullaby. Pharrell liked that it was Josh’s own rendition. Coach Adam said they’re what Josh does best and not trying to compete with the “giant vocalists” in this competition. Joshua went back to Michigan to see his wife and kids. He received a huge community welcome, and he put on a concert for the locals. Coaches Comments: Former coach Blake said he didn’t know that song, and told Josh that he has a way of connecting with a lyric in a different way from other people on the show. Coach Adam reacted that “they’re doing the right stuff!” and called Blake an idiot. The ladies from “Pitch Perfect 2” stopped-by. Pharrell selected this song timeless U2 song for Koryn. Koryn returned to Louisana and visited her high school where a large crowd of students and locals were to welcome her. She got a video message from “American Idol” season one winner Kelly Clarkson. Her town celebrated her success with a parade, and declared May 6th as “Koryn Hawthorne Day.” She was presented with a key of the city. Pharrell said it’s a song that’s needed out there in the word and a song that never loses it’s relevance. Coache’s Comments: Adam said he never runs out of things to say about Sawyer. He said “It’s hard to do that song justice” and thought Sawyer did it justice. Blake was out-talked by Adam and simply said “great job man!” Coach Pharrell said it’s Sawyer’s time! Sawyer went back to Albnay to visit his Dad and brothers. His dad immediately asked for help with the cows on the farm. His local fans greeted him with a parade at the speedway where 10,00 people greeted him. He also received a key from the city. Sawyer performed at the Palace theater in Albany in front of 3,000 fans. 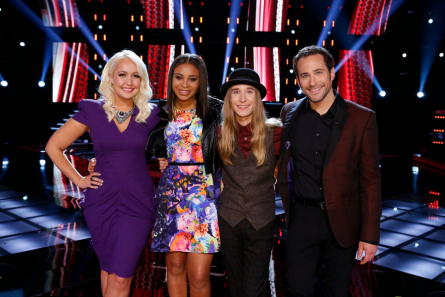 Coaches’ Comments: Adam said in his “ongoing quest” to find things to say – “the booming that takes place in this room when you hit high notes can fill any room, any size anywhere.” Blake said he was going to say what Adam said, then deemed him “clearly the front-runner.” Coach Pharrell said there’s a power Sawyer has access to and shares that power. Bake said it’s the perfect song for Meghan to pour in the emotion that she has. Coaches Comments: Blake was on his feet for her. Pharrell said she reminded the world that other sounds come out of Nashville. Adam complimented her consistency, and she connects with the songs wonderfully. Coach Blake was excited about her because “it’s a guarantee” that Meghan’s going to do great and called her an old soul because what she brings is priceless. Megan returned to Nashville where Naomi Judd paid her a surprise visit. 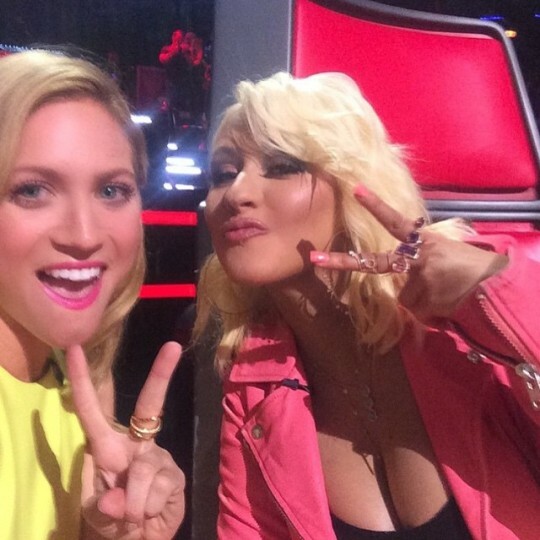 She remembered Meghan when she first started singing and thinks Meghan will win “The Voice”. Meghan did an interview at the local TV station and announced her live show for her community. “Big & Rich” showed up at her concert to surprise her on stage, then joined her in a song. They said they met her ten years ago. 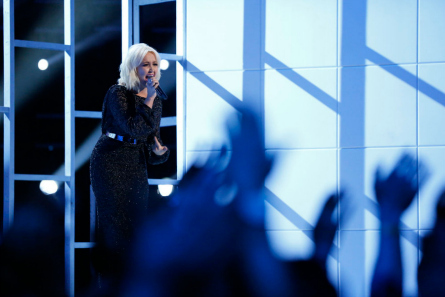 Coaches Comments: Christina called her awesome and a show-stopper Bluesy and Country style. Pharrell said she proved herself to the world. Blake was over the top excited and said she engaged all the country music fans across the country and called it her most important performance on the show and thinks she will blow up iTunes! Coaches Comments: Adam thought it was cool that her and her coach are similar in their abilities. Blake said the end was “the most powerful” part of her performance and expect her to be in the finale. Coach Christina told her there is something to be said about a singer who has control. She loved India’s tenderness and sincerity. India flew out of LAX where she was shocked that there awaited her UCLA a capella group and cheer leaders for a send-off to her flight back to New York. She did a live interview for her local news station then went to Manhattan School of Music where she practiced singing growing up. Christina Aguilera then told India via video that she was invited to sing the National Anthem at Yankee Stadium. 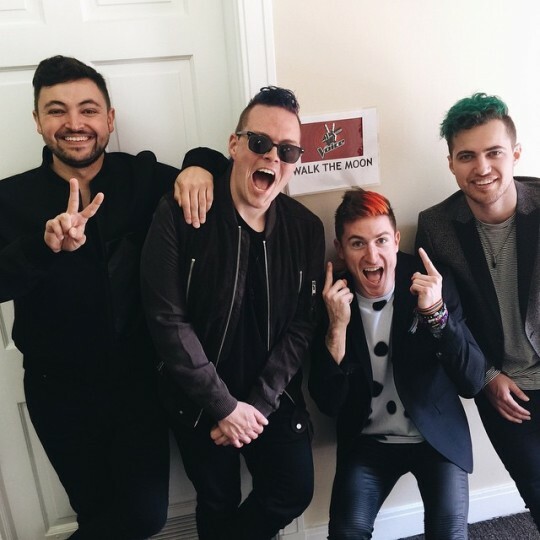 “Walk the Moon” band opened Tuesday night’s results show. 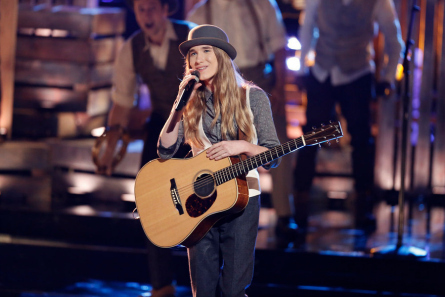 The first artist announced as saved by America’s votes and going to the finals was Sawyer Fredericks (Team Pharrell). 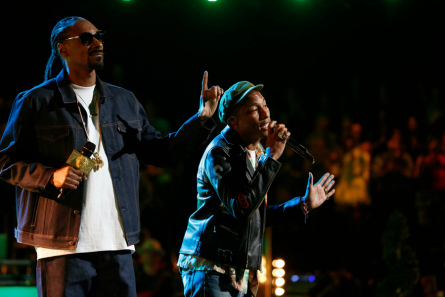 Next Pharrell Williams performed “California Roll” with special guest Snoop Dogg. Snoop said Pharrell is like a brother from another Mother. Pharrell said it’s great to work with an icon like Snoop. They promoted Snoop’s new album called “Bush”. 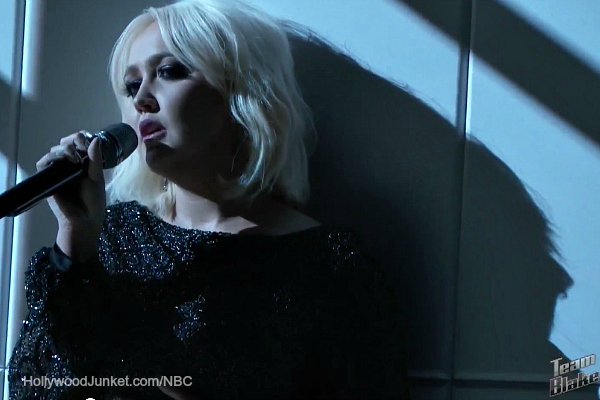 The next artist announced by host Carson Daly as moving on to the finals was Meghan Linsey (Team Blake). 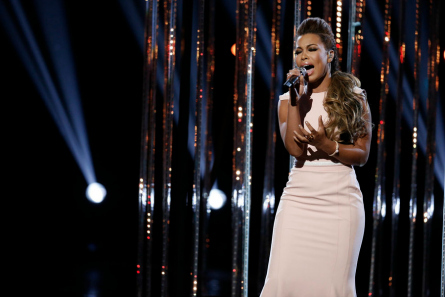 The first artist who will have to perform for the “Instant Save” vote was India Carney (Team Christina). The last two left were Koryn Hawthorne and Joshua Davis. 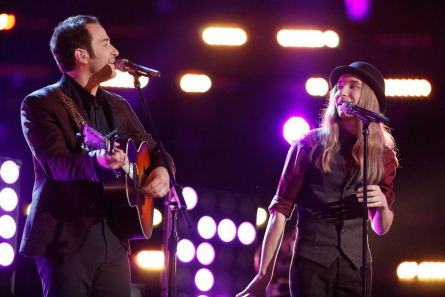 Joshua Davis from Team Adam performed with Sawyer Fredericks from Team Pharrell “Drift Away”. 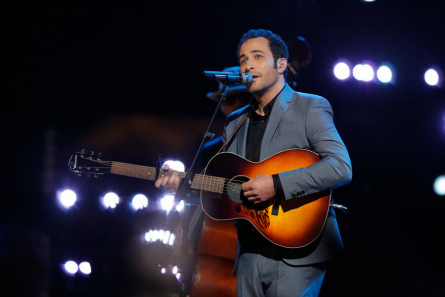 The last artist revealed as “saved” was Joshua Davis (Team Adam). 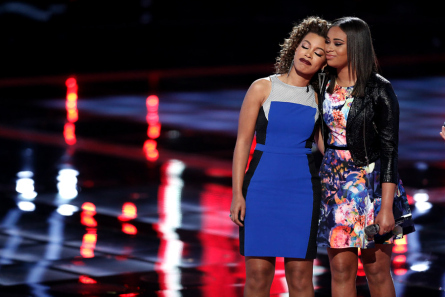 That meant Koryn Hawthorne would be competing against India Carney for the “Instant Save” vote. India’s coach Christina said no matter what happens she will always be behind her in her career. Koryn Hawthorne sang “If I Was a Boy” by Beyonce. Pharrell said for anyone who’s been told “no”, Koryn is singing for them. Instant Save – India Carney, Koryn Hawthorne. 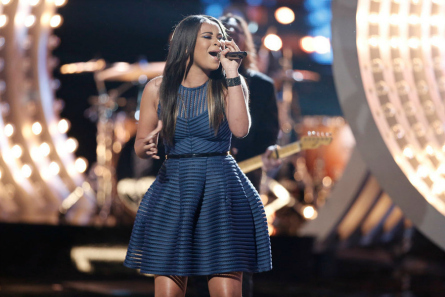 The “Instant Save” vote went to Koryn Hawthorne. Christina’s last words to India was that she has been inspired by her and reminded her why she started doing music in the first place and thanked her.